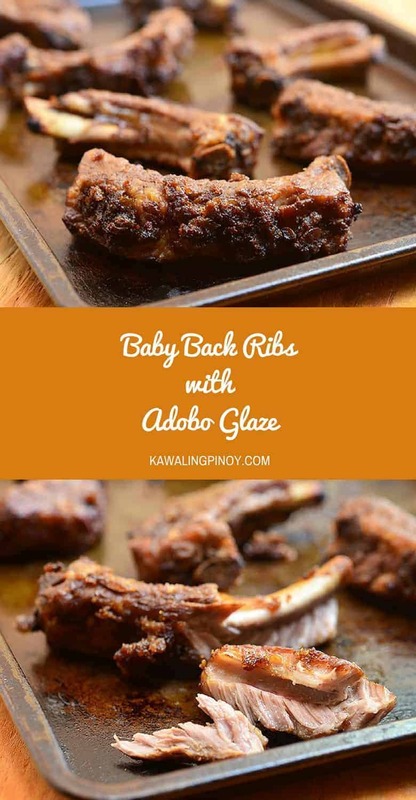 Baby back ribs with adobo glaze made with pork ribs simmered in classic adobo marinade and then finished in the oven with a topping of bread crumbs and honey for a delightful outer crust. Fall off the bone tender and with loaded with sweet and savory adobo flavor, they’re finger-licking good! 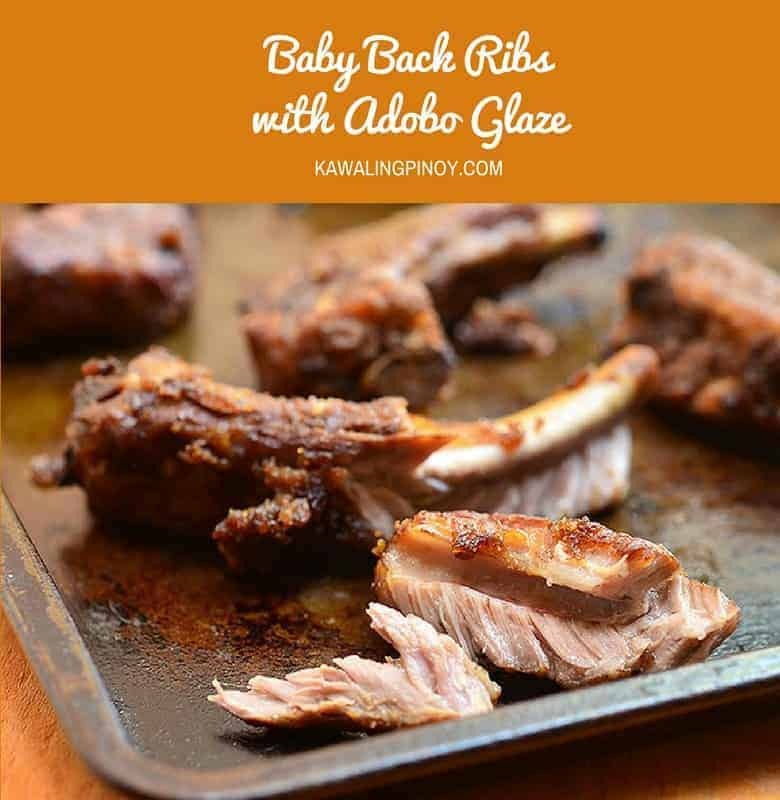 My friends, please make these baby back ribs with adobo glaze ASAP. Like, right now. 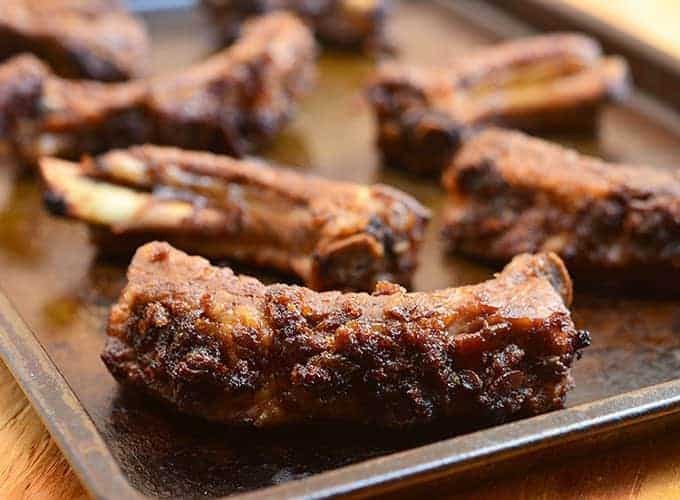 Fall off the bone tender and with loaded with sweet and savory adobo flavor, they’re the most finger-licking, lip-smacking best ribs you’ll have! 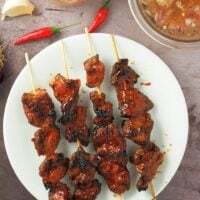 Pork back ribs are first simmered until tender in a mixture of soy sauce, vinegar, brown sugar and spices for the adobo flavors we all love and are then finished in the oven with a topping of bread crumbs and honey for a delightful outer crust. A definite MUST try! As much as I’d like to claim myself as the progenitor for such deliciousness, I need to give credit where credit is due. So, big hugs to my good friend, Samantha, who served these ribs yesterday for her daughter’s birthday party and was kind enough to email me the recipe today. Thumbs up for #awesomeBFFs! The original recipe calls for a whole slab of pork back ribs but as I like more crisp edges on my ribs, I opted to use pre-cut. It was a bit of a struggle to top each individual piece with the bread topping but boy! All that caramelized surfaces made the effort worth it. Just look at that fall-off-the-bone goodness above. Love, love, love! 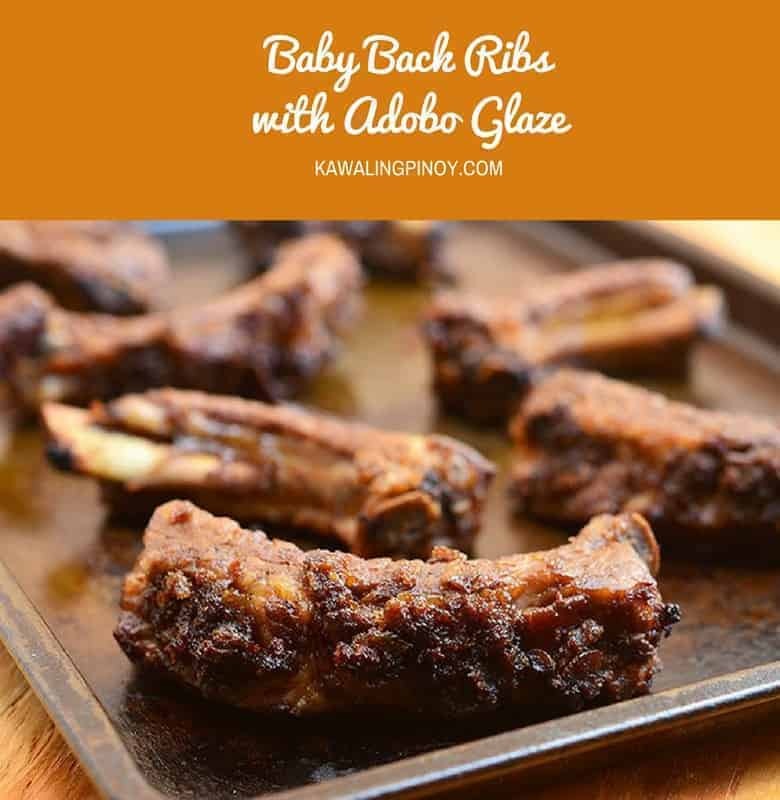 Baby back ribs with adobo glaze made with pork ribs simmered in classic adobo marinade and then finished in the oven with a topping of breadcrumbs and honey for a delightful outer crust. Fall off the bone tender and with loaded with sweet and savory adobo flavor, they're finger-licking good! In a pot over medium heat, combine pork ribs, soy sauce, vinegar, sugar, garlic, peppercorns, and bay leaves. Bring to a boil, skimming scum that may float on top. Lower heat, cover and continue to cook for about 1 to 1-1/2 hours or until ribs are fork-tender. Remove ribs from pot and set aside. Add bread crumbs, honey, and butter to the adobo sauce and simmer for about 5 minutes. Spread bread mixture on ribs and arrange in a single layer on a baking sheet. Bake in a 385 F oven for about 10 to 15 minutes or until lightly caramelized. Serve hot. 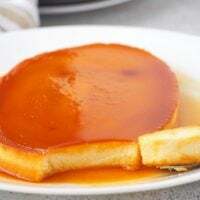 i am confused whether to put 1/2 cup Brown Sugar since at the end there’s a toppings which uses 1/2 cup Honey. i am waiting for other viewers to comment on this but I didn’t find anything. Sugar (I used Raw) and added 2 tbsp of oyster sauce as one of the viewers’ suggested. But after 1 hour, maybe after tasting it and I will add the remaining 1/4 cup Brown Sugar if needed. Likewise, will I use Unsalted Butter or the Salted one because it’s general. Please reply. Thanks. BTW, I cooked your Coconut Curry Salmon and we all love it it’s delicious.. The ribs will be cooked in a mixture of soy sauce, vinegar and spices with added sugar like you would adobo. The honey will be mixed with the bread crumbs and butter to make the topping. 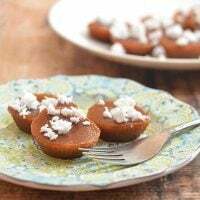 You can add more or less of the sugar depending on your taste. Hope this helps. I am glad you enjoyed the curry salmon. It’s such an quick and easy dish to make with loads of flavor. I am sure you can, you might have to adjust cooking time and amount of liquid. The addition of oyster sauce sounds delicious, I am going to try that the next time I make these ribs. 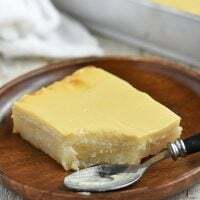 ….i’ll try this one….it looks yummy..thanks for sharing this recipe..
Hope you do, sooo good! I’m wondering…is putting in the oven is necessary??? Can i do this in slow cooker? 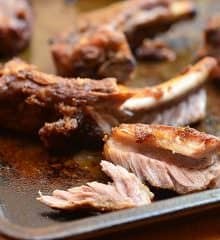 Yes, you can do this in the slow cooker but although flavors might be the same, the ribs won’t have the crisp outer crust. Please let me know how it turns out. ooh i am so craving ribs right now.. they look delicious! This is awesome! I did mine with regular store-bought barbecue sauce. Will try this definitely!Pinned. Thanks, Mia. 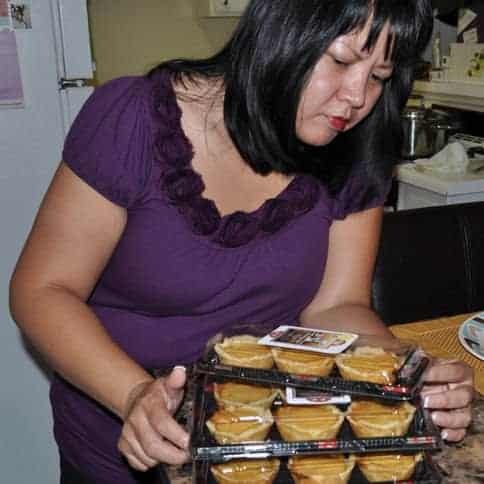 I am also very intrigued with your loslos recipe and would be trying it soon! 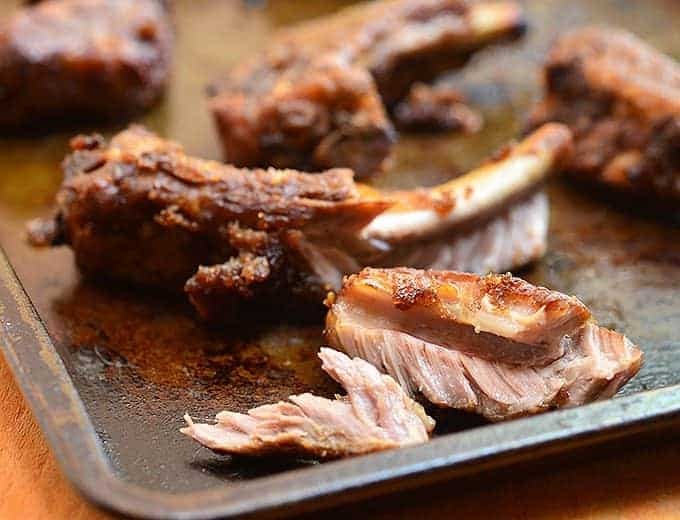 Thank you for this pork back ribs recipe. I have a similar recipe, but I’m going to try this tonight as I happen to have some ribs in the freezer that I’ll get out now. Sounds yummy with the panko.